Sorry for not posting in a while. I seem to have been busy. Doing what, I am not quite sure as I quit my job and am no longer working, lol! It feels good and it was the right decision for me. I am enjoying being a Domestic Goddess, haha! I have also started teaching classes at my home and have a wonderful group of ladies that come. I have been getting lots of crafty time in and making lots of cards, I just need to post them now. Today I have a very clean and simple birthday card. My poor little dress form die has not had any love in a very long time. I die cut it out of some pretty paper from MME and decided to give her a tuille skirt. Fun, huh? 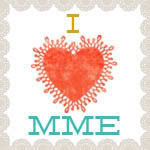 I embossed the bottom half of the white panel, tied my ribbon and added a sentiment. Voila, done!! 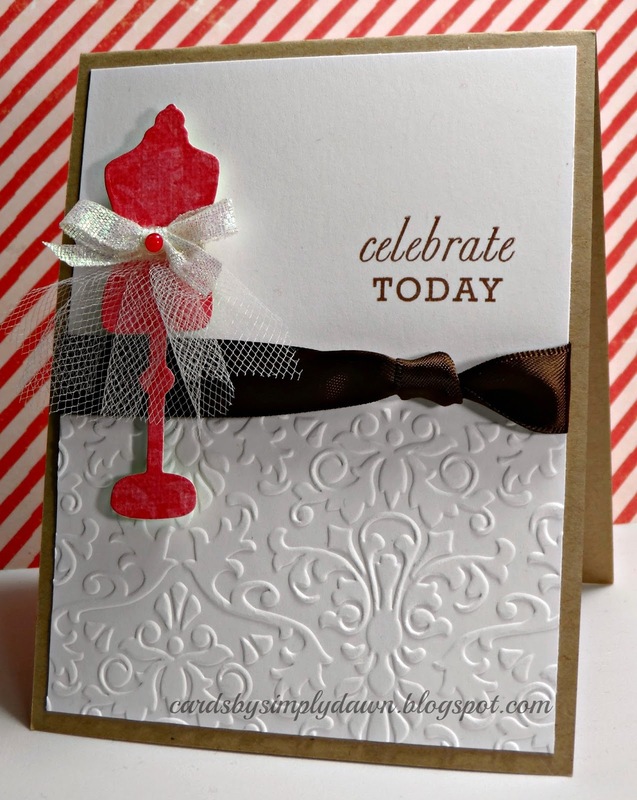 I just love how elegant the dry embossing looks! Anywho, thanks for stopping by and I will be back with another card or two tomorrow! Have a great day! !